When you think of car safety, airbags, traction control, and crumple zones usually come to mind. However, headlights are just as important as they determine how much reaction time we have to avoid accidents at night and during storms. Nationwide, half of all crashes occur on dark roads, and one quarter on unlit roads. In Wisconsin, an average of 50 people per year are injured in crashes where drivers didn’t have their headlights turned on. What can you do to make sure your car has a lighting system that will keep you safe? If you haven’t bought a car in a while, you may be surprised at the variety of headlights on the market. HID lights use an electric arc to excite gas, much like a neon light. This makes more light than a halogen bulb, but they degrade over time. After 10,000 hours of use, these bulbs only produce 30% as much light as they did when new. LED lights use less power than other bulbs and have an extremely long lifespan. Since they rarely need to be replaced during the life of the vehicle, automakers have more flexibility when designing them. Laser headlights use blue lasers to excite white phosphorus, creating up to 1,000 times more light than an LED bulb. This lets designers make headlights smaller. Curve-Adaptive lights swivel as you turn, lighting the road ahead. High Beam Assist monitors traffic and light conditions to adjust brightness automatically. Some systems simply turn the high beams on and off, while others vary output across the bulbs, dimming areas to keep from blinding oncoming drivers. The government-run NHTSA has vague headlight requirements, leading to inconsistent lighting performance and preventing some new technologies from being used in the U.S. To counteract this, the Insurance Institute of Highway Safety introduced their own headlight test in 2016. Like the small front overlap crash test, this new test has been gradually phased in to give automakers time to design their vehicles to meet this new standard. This year, cars must have a “good” headlight rating to earn the “Top Safety Pick +” rating, while earning “Top Safety Pick” requires at least an “acceptable” rating. In this test, the IIHS measures light straight ahead, as well as gradual and sharp curves at distances of 500 and 800 feet. Measurements are taken at a height of 10 inches for visibility and 3 feet 7 inches to measure glare that can blind other drivers. These measurements are made with vehicles as-is straight from the dealer since most owners don’t have their lights tested. The results are compared against a theoretical ideal lighting system with wide-ranging visibility and low glare for oncoming traffic. Low beam performance is weighted heavier than high beams because they’re used more often, and straight performance is weighted heavier because vehicles travel faster when going in straight lines, and more crashes are on straight road sections than curves. 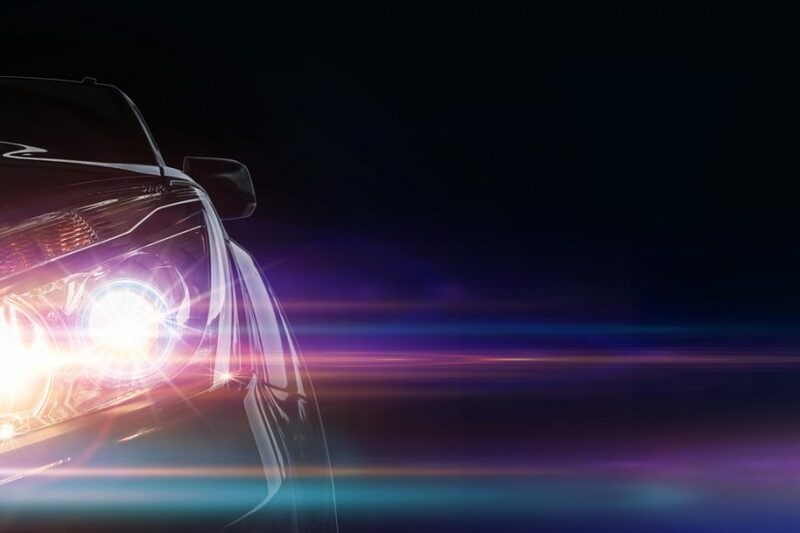 Qualifying for either requires only one set of headlights to meet the rating, so vision may be compromised if you choose a different light system. The first test was conducted in 2016, covering 82 headlight designs in 31 vehicles. Only one design, the Prius V’s curve-adaptive LED headlights, earned a “good” rating. Those lights were only available with the technology package, which itself was only available in the top trim. The Prius V with the standard halogen headlights earned a “Poor” rating. However, high technology doesn’t mean high performance. For example, the Honda Accord’s halogen lights scored higher than the optional LED units, while curve-adaptive lights in the Kia Optima were docked points for causing excessive glare. Price also isn’t a factor, as many of the worst-rated lights were fitted to luxury vehicles: both the Mercedes Benz C-Class and CLA were rated “poor,” while the BMW 3-Series had the worst performance overall. A driver would have to drive 35 mph slower in the BMW than they would in the LED-equipped Prius V to have the same reaction time to obstacles. How Can I Make My Headlights Safer? When you’re shopping for a vehicle, check the IIHS test results, taking note of the headlights that were used in the test; high-end lights aren’t necessarily safer. Tinted lights may be in but darkening them reduces light output. It also violates Wisconsin vehicle law, so you’re likely to get a “fix it” ticket. If you’re thinking about upgrading your headlights, get an entire light assembly, not just a set of bulbs. Drop in LED replacements don’t have the same light spread as halogens, leaving areas unlit across the reflector, while HID lights can blind other drivers. Even the best-prepared driver in the safest car is bound to have an accident. When that happens, bring your car to Merton Auto Body for collision repair. We have a short “keys to keys” cycle and an on-staff appraiser to handle insurance paperwork, so you’ll get your car back as quickly as possible. We’re located a few miles west of highway 164 in Sussex, just north of Pewaukee.